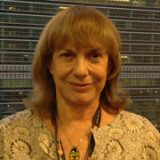 Dr. Bobbi Nassar was a Professor at Wurzweiler School of Social Work, Yeshiva University’s graduate school of social work, from 1977 through 2011.Currently, Dr. Nassar represents the International Federation of Settlements and Neighborhood Centers (IFS) at the United Nations and has since 1991. During this time she has served (an elected position) as Chair of the NGO Committee on Human Rights. She is currently Vice Chair of this Committee. Dr. Nassar has been a mental health health clinician since 1967. She’s worked with refugee communities for the past 35 years.This work has included providing counseling to torture survivors, human rights training, and leadership development. She is currently on the board of South Asian Council for Social Services.